This week pre-clinical data was published demonstrating that the Ambroxol is active in the brain. 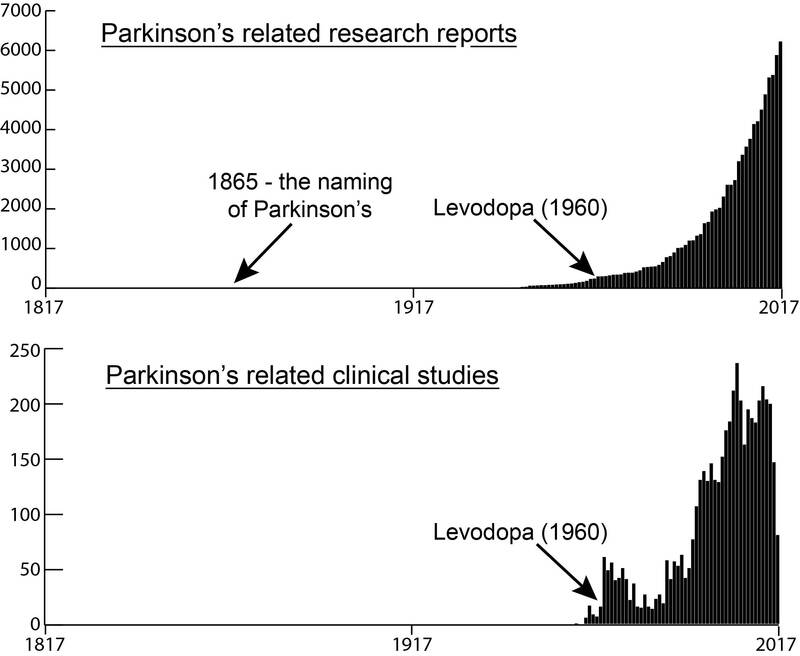 This is important data given that there is currently a clinical trial being conducted for Ambroxol in Parkinson’s disease. Today’s post will review the new data and discuss what is happening regarding the clinical trial. We have previously discussed the potential use of Ambroxol in the treatment of Parkinson’s disease (Click here to read that post). Today we follow up that post with new data that provides further support for an on-going clinical trial. What is the connection between Ambroxol and Parkinson’s disease? So this is where a gene called GBA comes into the picture. Genetic mutations in the GBA (full name: Glucosylceramidase Beta) gene are the most common genetic anomaly associated with Parkinson’s disease. People with a mutation in their GBA gene have a higher risk of developing Parkinson’s disease than the general population. And interestingly, people with Parkinson’s disease are approximately five times more likely to carry a GBA mutation than healthy control subjects. The GBA gene provides the instructions for making an enzyme (called glucocerebrosidase) that helps with the digestion and recycling of waste inside cells. The enzyme is located and active inside ‘lysosomes‘. Lysosomes are small bags of digestive enzymes that can be found inside cells. They help to break down proteins that have either been brought into the cell or that have served their function and need to be digested and disposed of (or recycled). Inside the lysosomes are enzymes like glucocerebrosidase which help to break material down into useful parts. The lysosome will fuse with other small bags (called vacuole) that act as storage vessels of material inside a cell. The enzymes from the lysosome will mix with the material in the vacuole and digest it (or it break down into more manageable components). Now people with a genetic mutation in their GBA gene will often have an abnormally short, non-functioning version of the glucocerebrosidase enzyme. In those cases the breaking down of waste inside the lysosome becomes inhibited. And if waste can’t be disposed of or recycled properly, things start to go wrong in the cell. How does Ambroxol correct this? It was recently shown that Ambroxol triggers exocytosis of lysosomes (Source). Exocytosis is the process by which waste is exported out of the cell. Thus by encouraging lysosomes to undergo exocytosis and spit their contents out of the cell – digested or not – Ambroxol allows the cell to remove waste effectively and therefore function in a more normal fashion. This mechanism of treatment seemingly bi-passes the faulty glucocerebrosidase digestion enzyme entirely. Does Ambroxol enter the brain and have this function there? What are the consequences of long term Ambroxol use? Title: Ambroxol effects in glucocerebrosidase and α-synuclein transgenic mice. Authors: Migdalska-Richards A, Daly L, Bezard E, Schapira AH. Journal: Ann Neurol. 2016 Nov;80(5):766-775.
a group of mice that produced human alpha synuclein (the protein closely associated with Parkinson’s disease). When they looked at the level of glucocerebrosidase enzyme activity in normal mice, they found an increase of approximately 20% (in mice treated with 4mM Ambroxol). One curious finding was that this dose was the only dose that increase glucocerebrosidase activity (1, 3, and 5mM of Ambroxol had no effect). The investigators noted, however, a reduction in water drinking of mice receiving 5mM in their drinking water (maybe they didn’t like the taste of it! ), suggesting that they were not getting as much Ambroxol as the 4mM group. The 4mM level of of Ambroxol also increased glucocerebrosidase activity in the L444P mutation mice and the alpha-synuclein mice (which interestingly also has reduced levels of glucocerebrosidase activity). One important observation in the alpha synuclein mice was the finding that Ambroxol was able to reduce the levels of alpha synuclein in the cells, indicating better clearance of un-wanted excess of proteins. These combined results suggested to the investigators that Ambroxol is entering the brain of mice (passing through the protective blood brain barrier) and able to be effective there. In addition, they did not witness any serious adverse effects of ambroxol administration in the mice – an observation made in other studies of Ambroxol in normal mice (Click here to read more about this). Title: Oral ambroxol increases brain glucocerebrosidase activity in a nonhuman primate. Authors: Migdalska-Richards A, Ko WK, Li Q, Bezard E, Schapira AH. Journal: Synapse. 2017 Mar 12. doi: 10.1002/syn.21967. In this study, the investigators analysed the effect of Ambroxol treatment on glucocerebrosidase activity in three healthy non-human primates. One subject was given an ineffective control solution vehicle, another subject received 22.5 mg/day of Ambroxol and the third subject received 100 mg/day of Ambroxol. They showed that daily administration 100 mg/day of Ambroxol results in increased levels of glucocerebrosidase activity in the brain (approximately 20% increase on average across different areas of the brain). Importantly, the 22.5 mg treatment did not result in any increase. The investigators wanted to determine if the effect of Ambroxol was specific to glucocerebrosidase, and so they analysed the activity of another lysosome enzyme called beta-hexosaminidase (HEXB). They found that 100 mg/day of Ambroxol also increased HEXB activity (again by approximately 20%), suggesting that Ambroxol may be having an effect on other lysosome enzymes and not just glucocerebrosidase. The researches concluded that these results provide the first data of the effect of Ambroxol treatment on glucocerebrosidase activity in the brain of non-human primates. In addition, the results indicate that Ambroxol is active and as the researchers wrote “should be further investigated in the context of clinical trials as a potential treatment for Parkinson’s disease”. And there is a clinical trial currently underway? Funded by the Cure Parkinson’s Trust and the Van Andel Research Institute (USA), there is currently a phase I clinical trial with 20 people with Parkinson’s disease receiving Ambroxol over 24 months. Importantly, the participants being enrolled in the study have both Parkinson’s disease and a mutation in their GBA gene. The study is being led by Professor Anthony Schapira at the Royal Free Hospital (London). EDITORS NOTE HERE: Readers may be interested to know that Prof Schapira is also involved with another clinical trial for GBA-associated Parkinson’s disease. The work is being conducted in collaboration with the biotech company Sanofi Genzyme, and involves a phase II trial, called MOVE-PD, which is testing the efficacy, and safety of a drug called GZ/SAR402671 (Click here to read more about this clinical trial). GZ/SAR402671 is a glucosylceramide synthase inhibitor, which will hopefully reduce the production and consequent accumulation of glycosphingolipids in people with a mutation in the GBA gene. This approach is trying to reduce the amount of protein that can not be broken down by the faulty glucocerebrosidase enzyme. The MOVE-PD study will enroll more than 200 patients worldwide (Click here and here to read more on this). The current Phase 1 trial at the Royal Free Hospital will be primarily testing the safety of Ambroxol in GBA-associated Parkinson’s disease. The researchers will, however, be looking to see if Ambroxol can increase levels of glucocerebrosidase and also assess whether this has any beneficial effects on the Parkinson’s features. There is a major effort from many of the Parkinson’s disease related charitable groups to clinically test available medications for their ability to slow this condition. Big drug companies are not interested in this ‘re-purposing effort’ as many of these drugs are no longer patent protected and thus providing limited profit opportunities for them. This is one of the unfortunate realities of the pharmaceutical industry business model. One of the most interesting drugs being tested in this re-purposing effort is the respiratory disease-associated treatment, Ambroxol. Recently new research has been published that indicates Ambroxol is able to enter the brain and have an impact by increasing the level of protein disposal activity. A clinical trial testing Ambroxol in Parkinson’s disease is underway and we will be watching for the results when they are released (most likely late 2019/early 2020, though preliminary results may be released earlier). This trial is worth watching. EDITOR’S NOTE: Under absolutely no circumstances should anyone reading this material consider it medical advice. The material provided here is for educational purposes only. Before considering or attempting any change in your treatment regime, PLEASE consult with your doctor or neurologist. Amboxol is a commercially available medication, but it is not without side effects (for more on this, see this website). We urge caution and professional consultation before altering a treatment regime. SoPD can not be held responsible for any actions taken based on the information provided here.